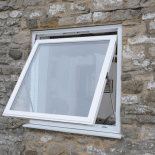 Britannia Windows – Why Choose us? 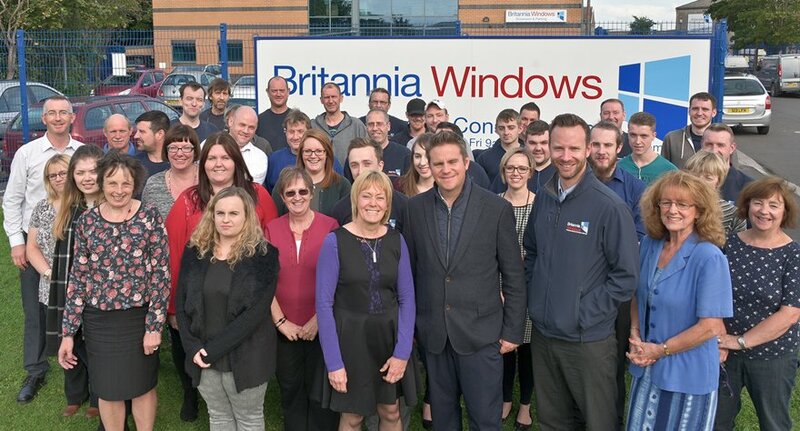 Britannia Windows started as a family business and remains in the family to this day. 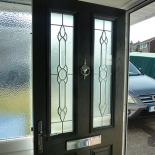 Since the company was founded in 1979, it has expanded and evolved into a reliable, genuine and respected manufacturer and installer of windows, doors and conservatories. Now, Britannia Windows is part of a wide network of other respected regional window companies, known as Network Britannia. This network is aimed at raising standards and building trust by using expert installers to fit British-made products to an exceptional standard. Our company roots have built up from Clevedon, North Somerset where our state of the art factory, offices and inspiring showroom remain. Here, our continuous improvement program means we will always provide you with the best, innovative and secure products which you and your family deserve. Family is very important to all of us here at Britannia Windows. 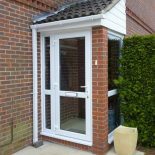 Our team are all local residents who are passionate about the local area and take pride in seeing it flourish through state of the art windows, doors and conservatories. 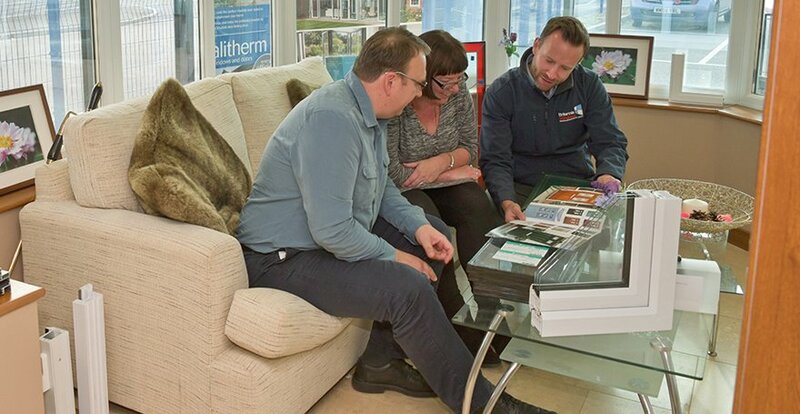 Our sales consultants, surveyors, installers and administration team are highly trained, passionate about the services they provide and always willing to go the extra mile to ensure that as a team, we treat your home with the care and respect it deserves so you are 100% happy with the finished product. You’re welcome to come and visit us for a friendly discussion about how, with our help, you can greatly enhance your home. We will happily introduce you to what we have to offer with no hard sell, no wild promises and no pressure to buy. For a home visit, we promise that our salesman will never stay any longer than an hour at your home, unless of course you want them to, in which case you will have as much time as you need to explore all the hundreds of options we have to offer. We strive to give you the most effective and experienced advice regarding; security, thermal efficiency and the best designs for your budget and your home. We want you to be assured that you have brought the best products money can buy and we can guarantee that this will be reflected in your home for everyone to admire. Our factory is one of the most advanced manufacturing facilities in the UK. Our state of the art machinery and our production team are highly experienced, always looking to advance the way we work. All of our products are lovingly crafted by our dedicated staff in order for them to perform brilliantly for decades to come. They also go through multiple tests against the weather, overall performance and security. Our windows are independently tested by the British Standards Institute, we have quality certifications for all materials, construction, security, weather tightness, operation and strength performance. Also, all our windows are tested to destruction, to ensure they meet the requirements of enhanced security. We understand that you want your family to be safe. We were the first UK window company to achieve coveted BSI certification status and we will be the first in line for any new legislative controls or testing because, like you, we want our products to be the best they can be. Here at Britannia Windows, we are passionate about preserving the local environment. We have put our passion into a ‘continuous improvement’ system to minimise our impact on the environment and maximise our impact on recycling. Not only do we recycle the majority of our in-house waste materials, we recycle your old windows as well. Our solar powered factory is lit by low energy lighting and with all of our orders now barcoded, we are very close to a paperless environment. Did you know that our manufacturing factory and original offices in Clevedon are powered by a 112kw solar panel system? Did you know that in 2010 we installed a waste compactor to recycle all cardboard and plastic? After the process of putting ourselves in your shoes, we have ensured that we never sell low cost products which compromise on quality. If you need a little more time to pay for your investment, unlike other smaller companies, we offer a competitive finance package to spread the cost. 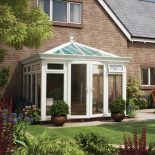 Every installation is guaranteed for 10 years and our expert team will provide excellent aftercare throughout and beyond these years for your piece of mind.